I Have a Puzzling Manicure For You... - Polish Etc. Today I have more decals from the fabulous Make It Stick that were sent to me for review, this time it's puzzle pieces! I was the most excited about these decals because coming up on April 2nd is Autism Awareness day. 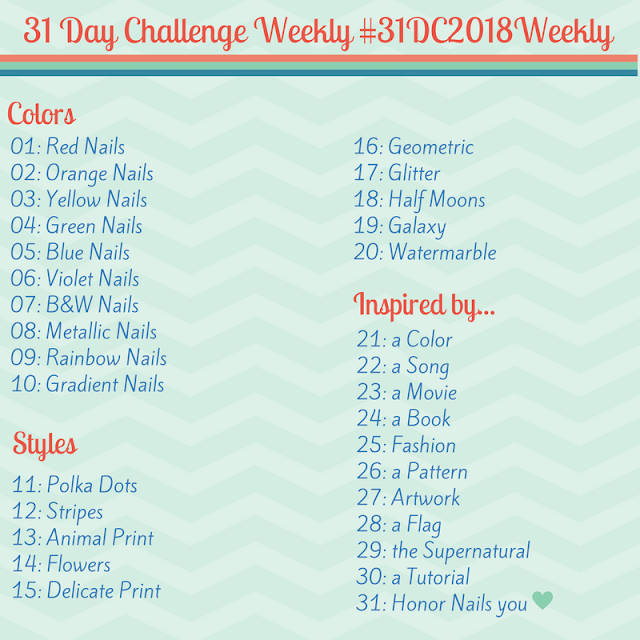 Last year many bloggers celebrated with a blue manicure (the official autism awareness color) and puzzle pieces (the symbol of Autism Speaks, an autism awareness group). Last year I wore blue for awareness, but wasn't skilled enough to add a puzzle piece to my manicure. 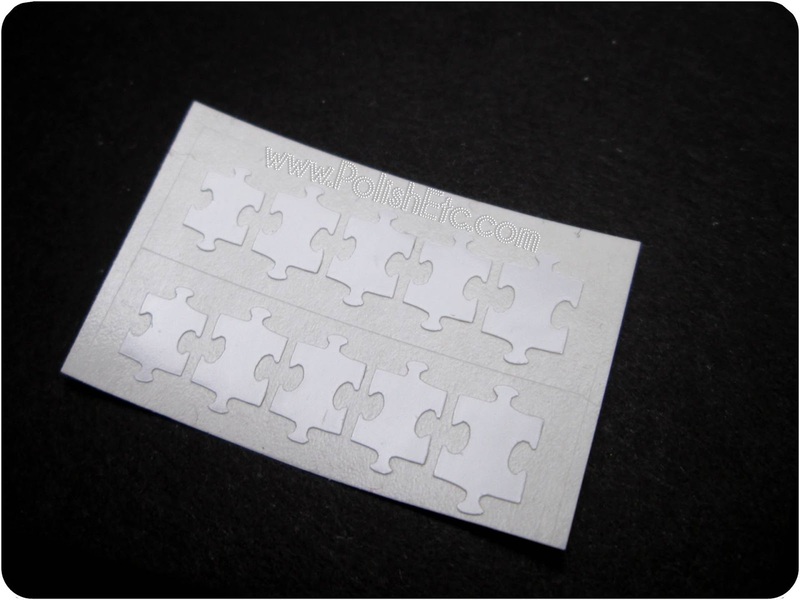 Like other Make It Stick decals, these puzzle pieces are made of a thin flexible vinyl with adhesive backing that are easily applied to the nail like a regular sticker (except they stick securely, bend around the curve of your nails and stay put). My base color was OPI Suzi and the 7 Dusseldorfs in Gelcolor, which I added the decals to and topped with regular polish topcoat. I didn't pay very much attention to placement and they are a bit crooked on my nails, but it's not noticeable in person. One nice thing about these decals is that they are size matched, which means that there's 5 different sizes of puzzle pieces (perfect for my five fingers on each hand). If you are just using them one at a time for accent nails you can choose the size perfect for your nail. What do you think? Are nail decals your thing or do you prefer paint your own nail art? My nails are realy small, so I find it hard to fit most decals on them without having overlay, and I'm not brave enough to attempt my own art, so there you have it, lol :) These puzzle pieces are really cute, though, and that OPI is smashing on ya! I am loving that color! It looks amazing. I love the mani over all. I am going to have to look into to the decals...I have never tried them. Looks awesome. They're really awesome decals in my opinion. I've never been a huge nail decal fan because I like my nails totally smooth but I don't notice these at all. :D I'm glad you liked the mani and thanks for commenting! Decals are definitely for me! I can not paint.